New, 6 Jacobs style chucks + 1 Key made in JAPAN. 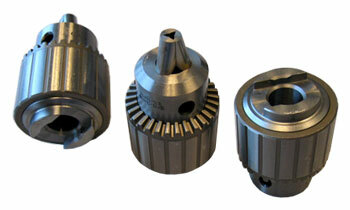 It has a #3 Jacobs taper mount with posi-slot, which can be used with a mill, lathe or drill press. The chuck has ground jaws for superior holding capacity and a special coating on the entire outside of it to help prevent rust and oxidation.